"The Line", a brand new song from the FOO FIGHTERS, can be streamed below. The track is taken from the band's ninth studio album, "Concrete And Gold", which will be released on September 15 via Roswell Records/RCA Records. "The Line" pairs a signature FOO FIGHTERS propulsive melody with an urgent heartfelt lyric and rousing chorus described by composer Dave Grohl as "a search for hope in this day and age where you feel as if you're fighting for your life with every passing moment, and everything is on the line." "The Line" is the third of "Concrete And Gold"'s eleven songs to be unveiled ahead of the album's impending arrival, the second being "The Sky Is A Neighborhood", visually realized as a Grohl-directed kaleidoscopic sci-fi mini-epic as massive as the slow burning rock anthem that gave it life — one of the most striking entries of the FOO FIGHTERS' video canon, and the first one to score the band coverage on Space.com. The run-up to "Concrete And Gold" began just as auspiciously, with the June 1 surprise release of the Billboard Mainstream Rock #1 smash "Run". With more than two million YouTube views in its first twenty-four hours, "Run" rocketed into the Top 5 of the iTunes video chart and the top Top 15 iTunes singles chart — quickly amassing the highest first-day numbers of any single in the FOO FIGHTERS' career. "Concrete And Gold" will naturally be supported with a grueling trek of the arena, stadium and festival stages of the world. The U.S. leg kicks off October 7 with the band's Cal Jam 17 festival at Glen Helen Regional Park in San Bernardino, California: a non-stop, one-hundred-percent-live twelve-hour rock and roll extravaganza featuring camping, carnival rides, a water park, attractions, a mobile recording studio and so much more. 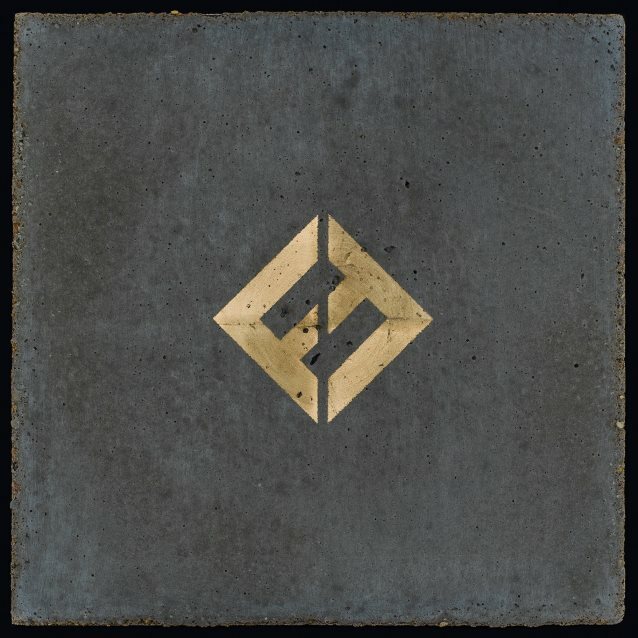 "Concrete And Gold" was written and performed by FOO FIGHTERS, produced by Greg Kurstin and FOO FIGHTERS, and mixed by Darrell Thorp. Grohl recently revealed that Justin Timberlake is the mystery guest on "Concrete And Gold". He explained that Timberlake was recording at the same Los Angeles studio and would hang out with the FOO FIGHTERS. Grohl explained: "We'd drink whiskey in the parking lot. He was really, really cool. Then the night before his last day, he says, 'Can I sing on your record? I don't want to push it, but — I just want to be able to tell my friends.'" Timberlake ended up doing background "la la la" vocals on one song on the LP, which was not identified. Grohl said that Timberlake "nailed" the part, adding, "I'm telling you, the guy's going somewhere." 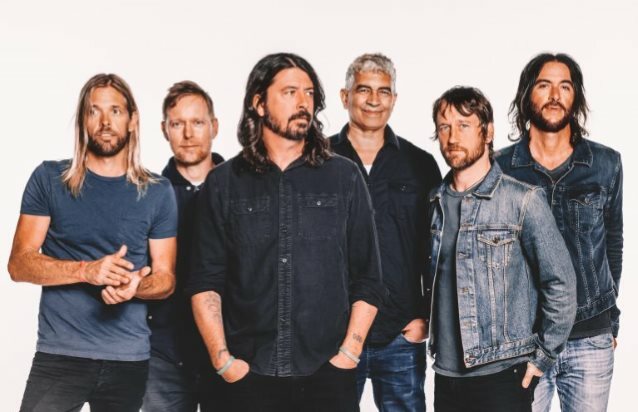 Grohl first teased fans about the collaboration in June, telling fans, "I'd never spent time with this person, and we had a blast together." 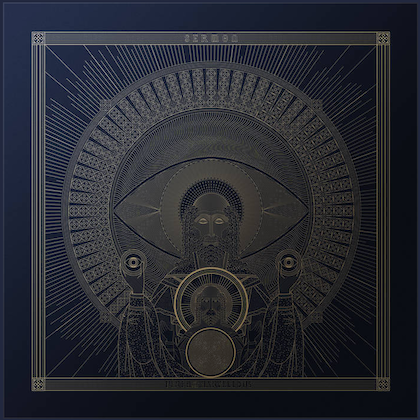 Other cameos on the disc include Paul McCartney, THE BIRD AND THE BEE's Inara George, THE KILLS' Alison Mosshart and BOYZ II MEN singer Shawn Stockman.